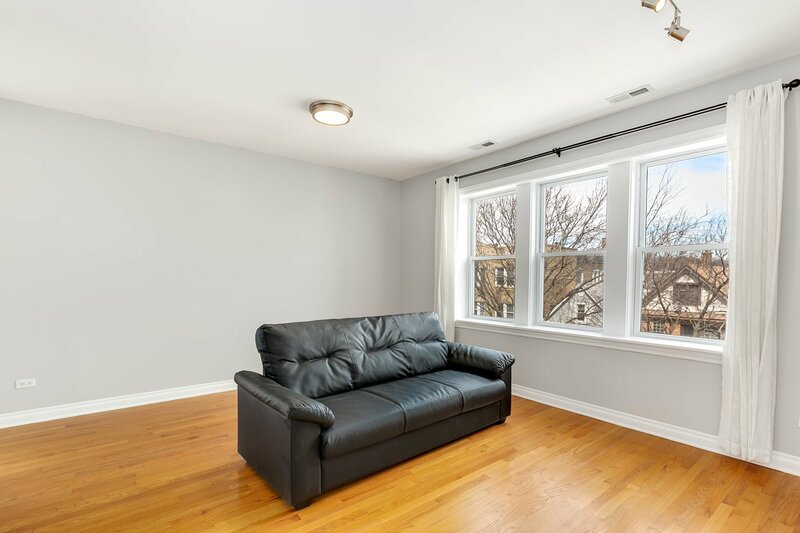 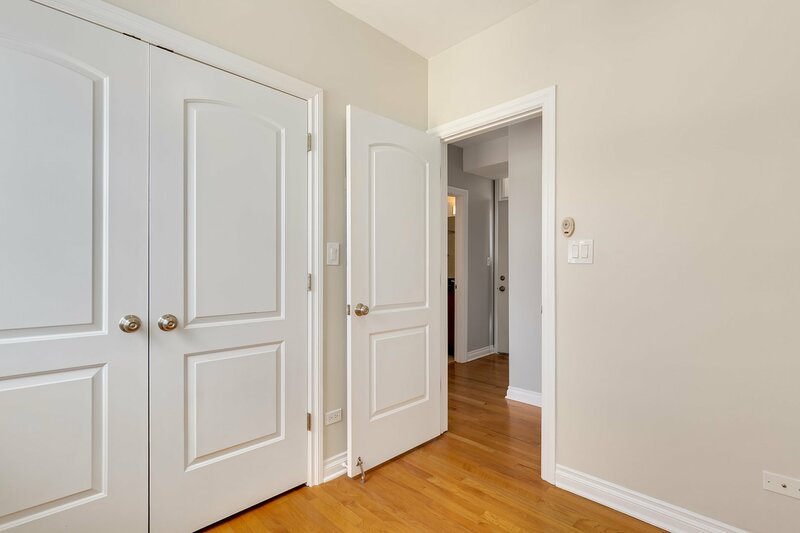 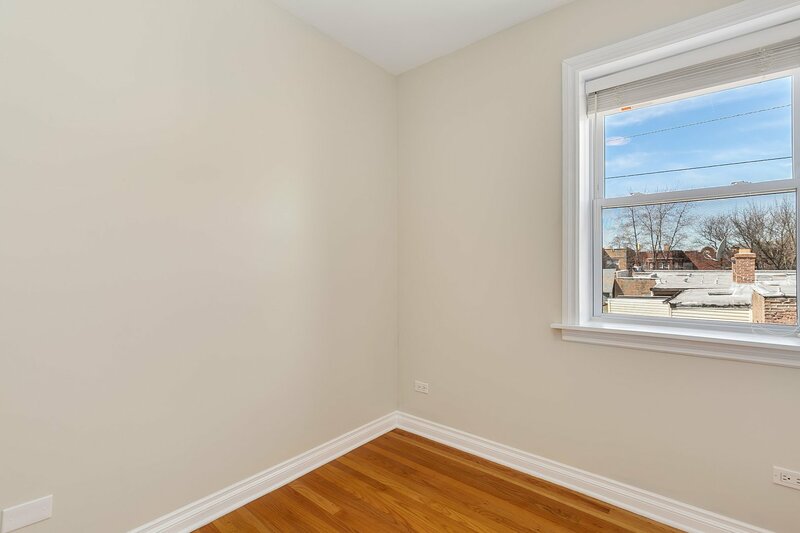 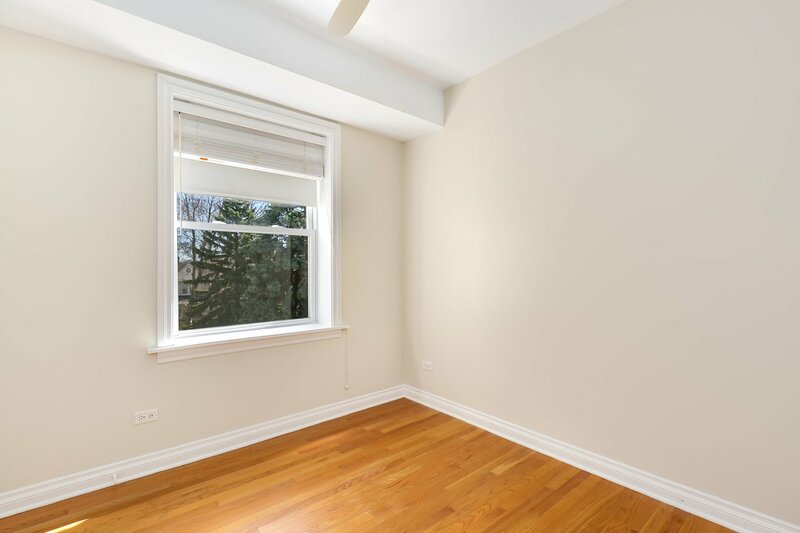 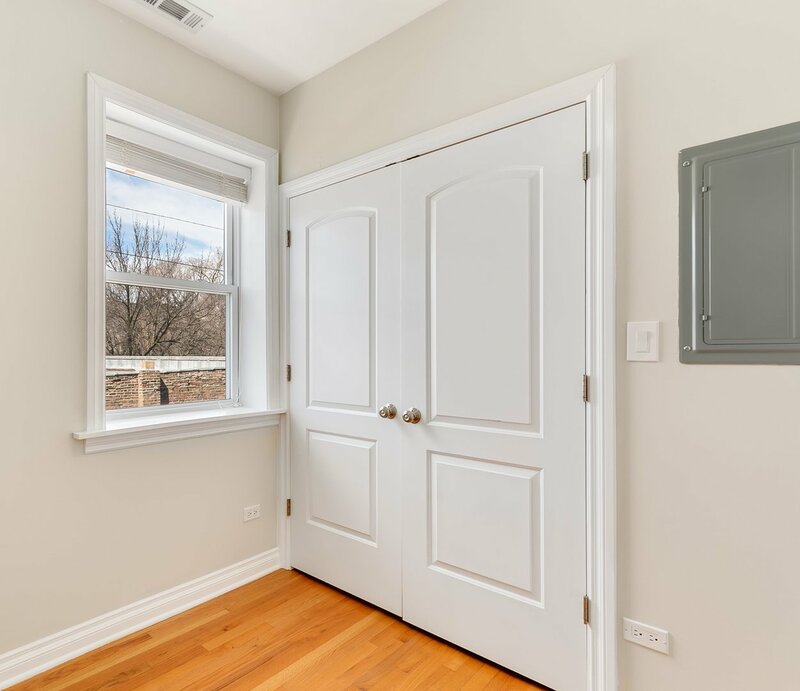 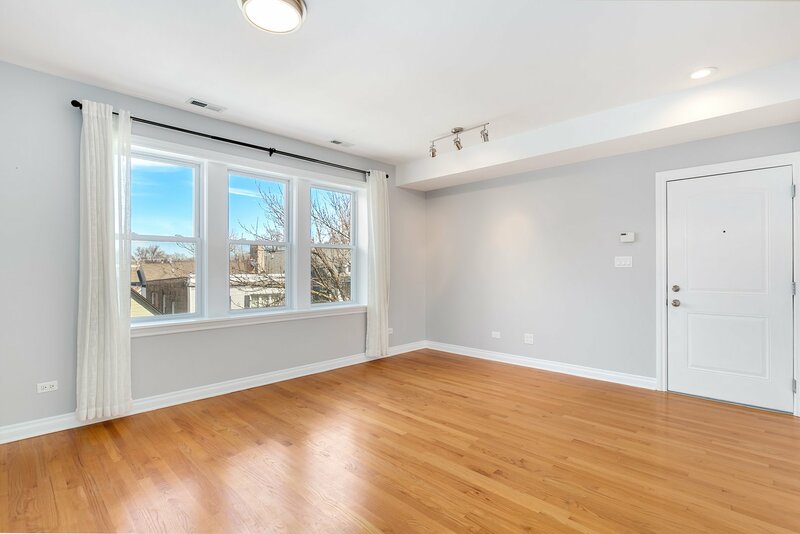 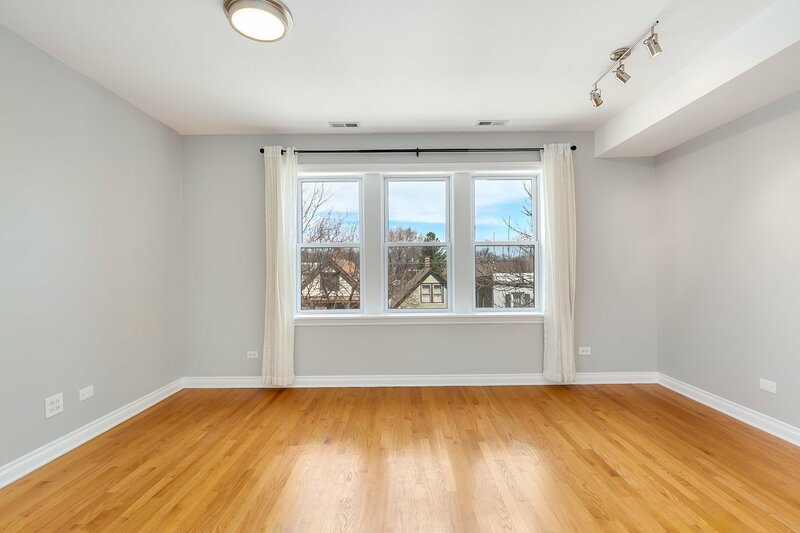 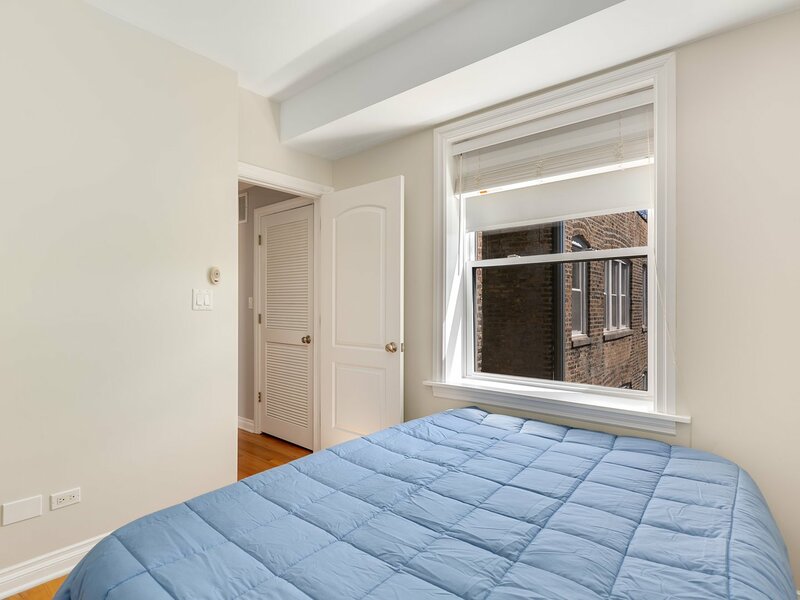 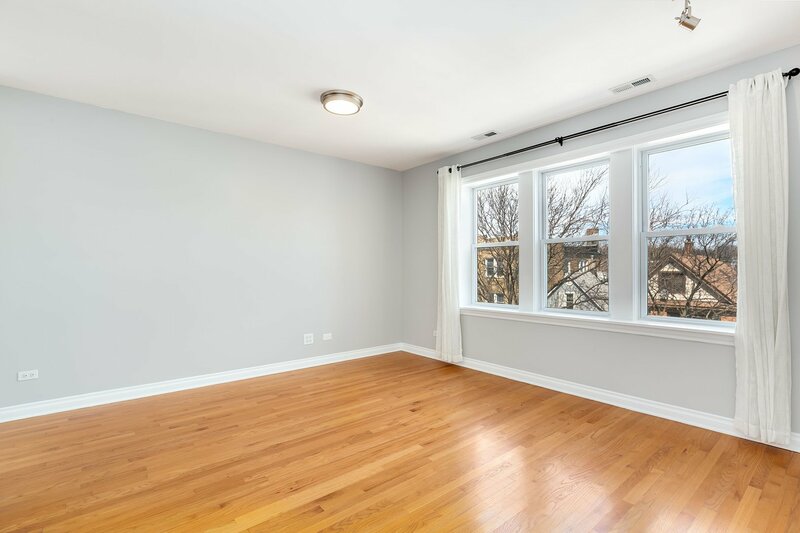 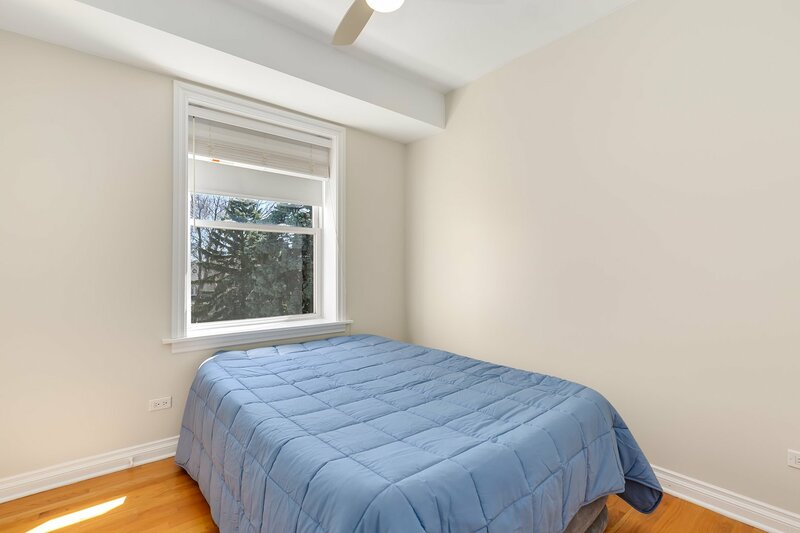 Sunny, bright and private top-floor 2-bedroom corner unit in Lincoln Square with no shared walls. 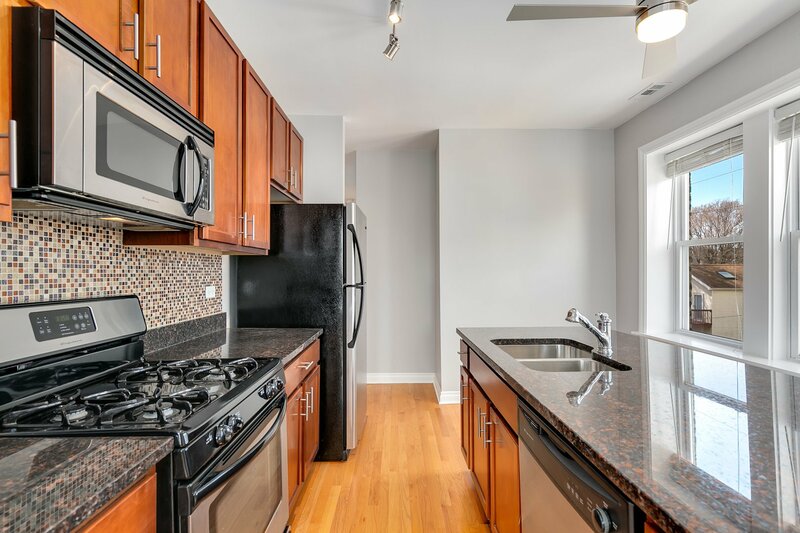 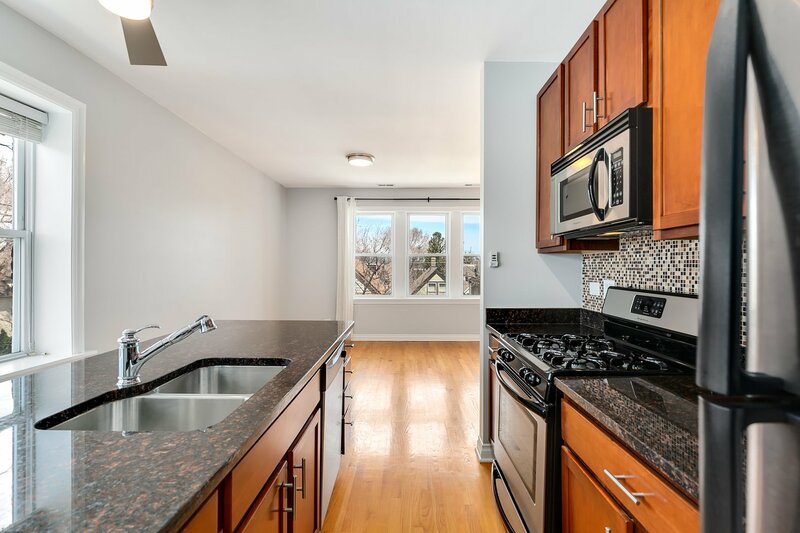 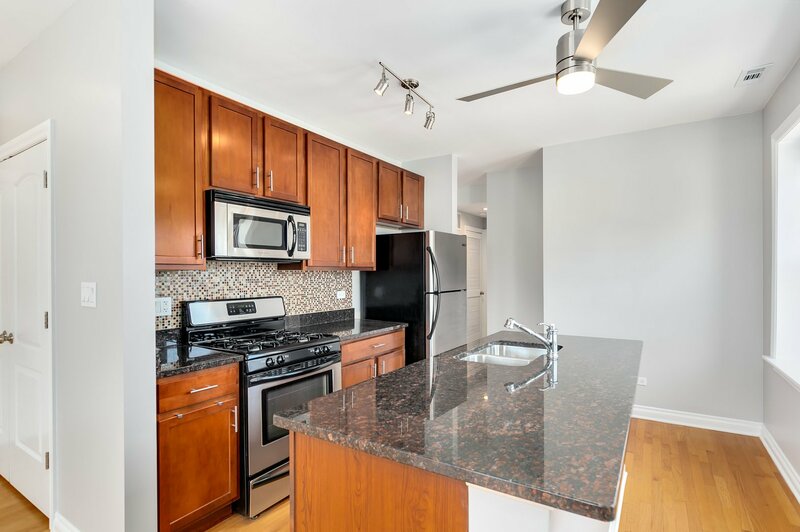 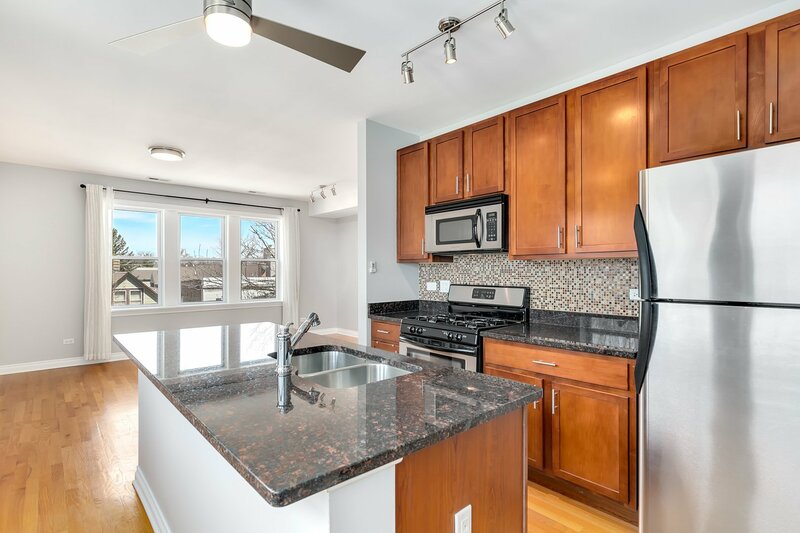 The open kitchen features stainless steel appliances, granite counter-tops, maple cabinets, and island. 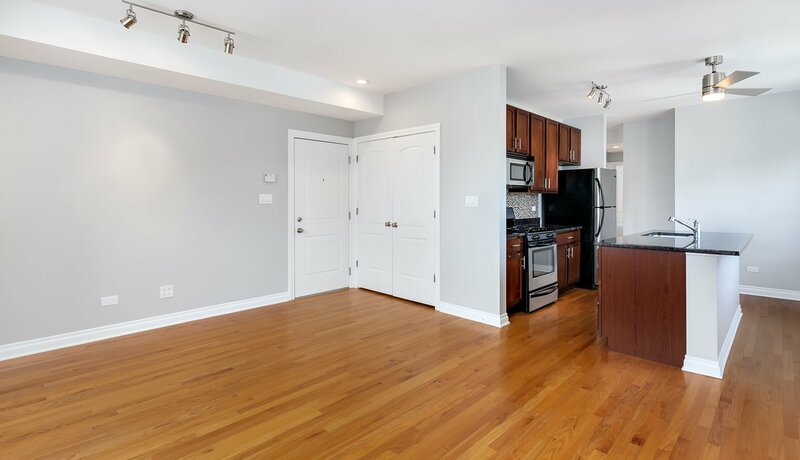 The kitchen also opens to the living room/dining room, making it ideal for entertaining. 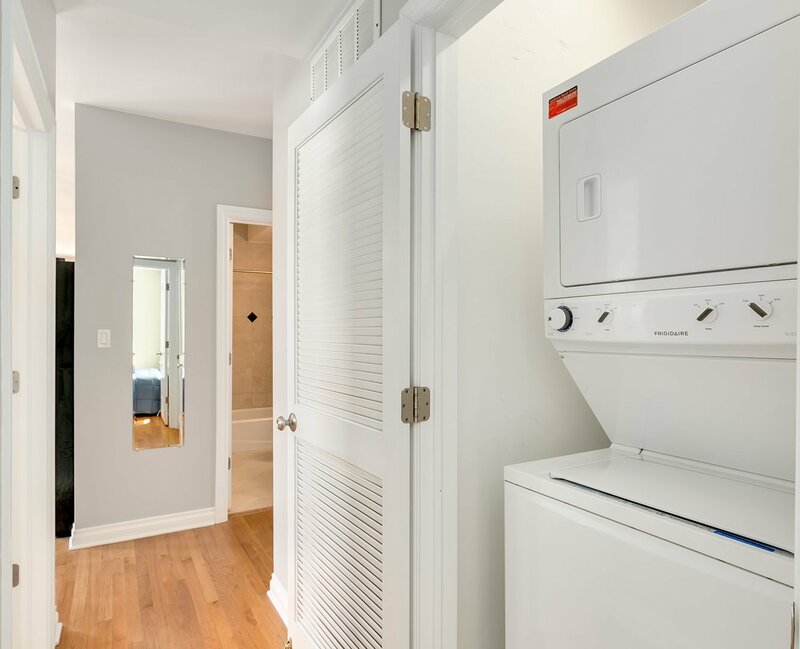 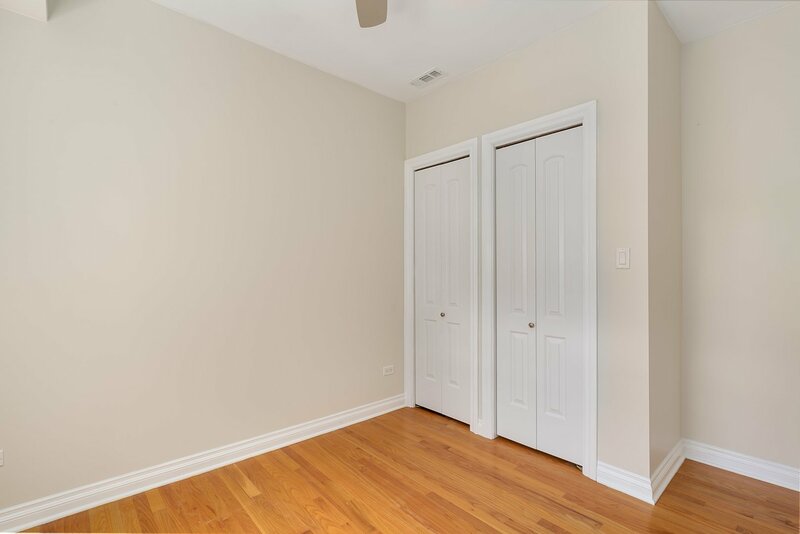 The home features Central air conditioning, new in unit Laundry, and hardwood floors throughout. 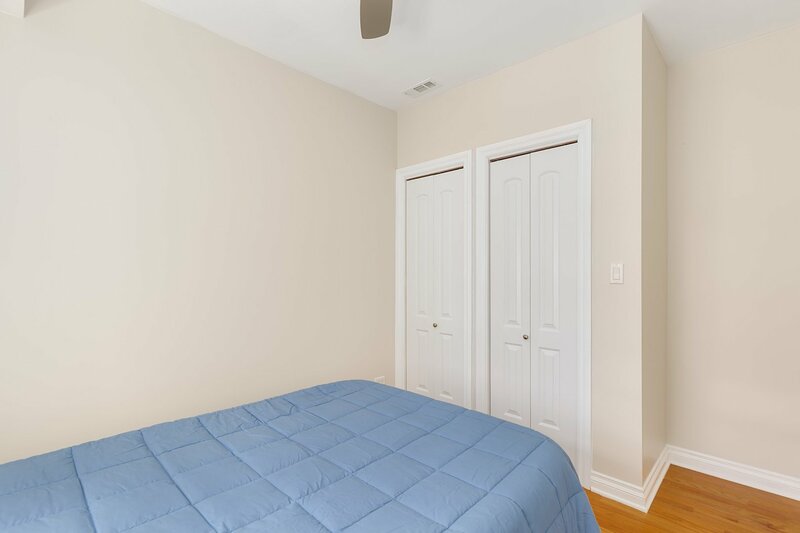 Both bedrooms have generous sized closets. 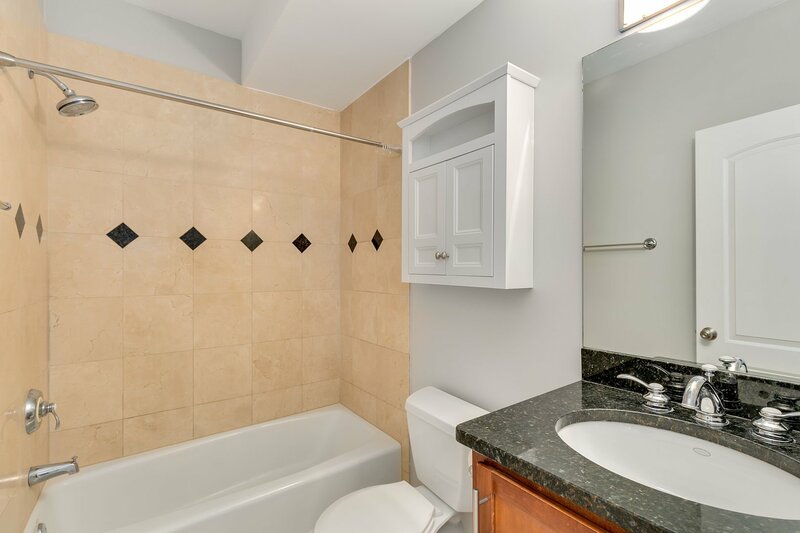 Modern bathroom with granite countertop. 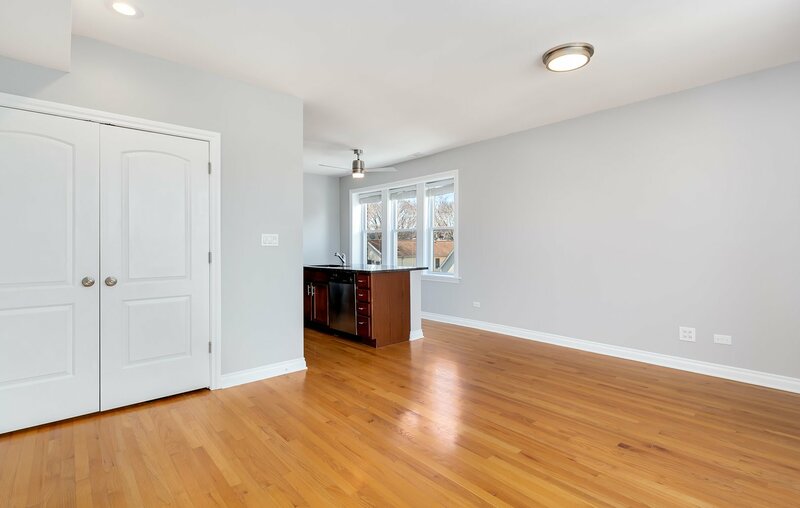 Freshly painted with new lighting fixtures throughout. 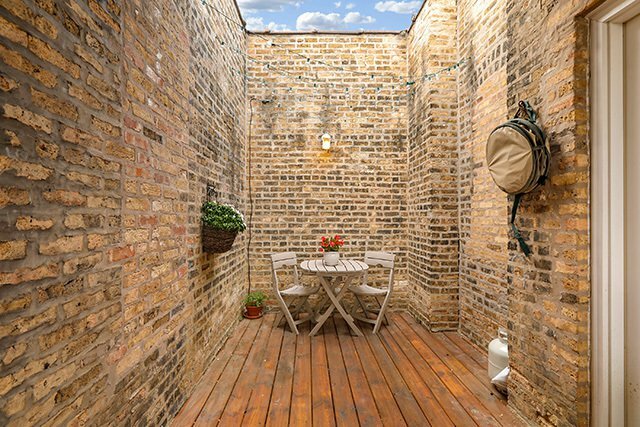 Large Storage locker included. 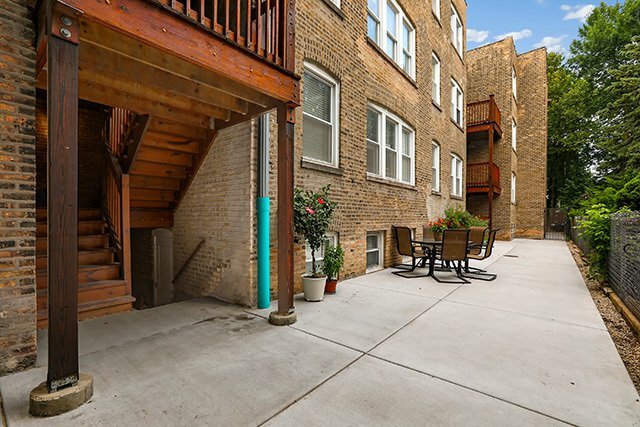 Have coffee on the back porch, and grill on the communal outdoor patio. 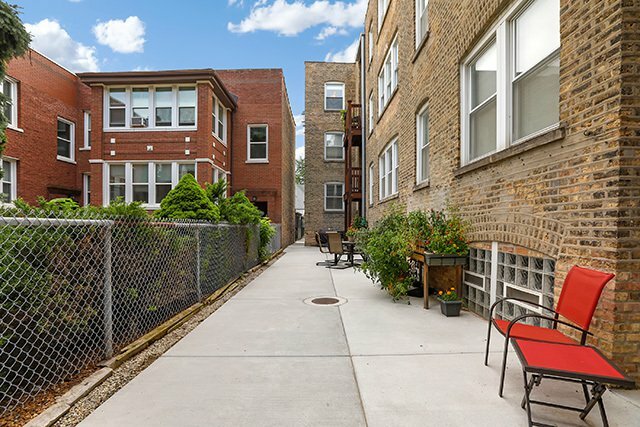 Take a shortcut through the Square on your way home from the Brown Line. 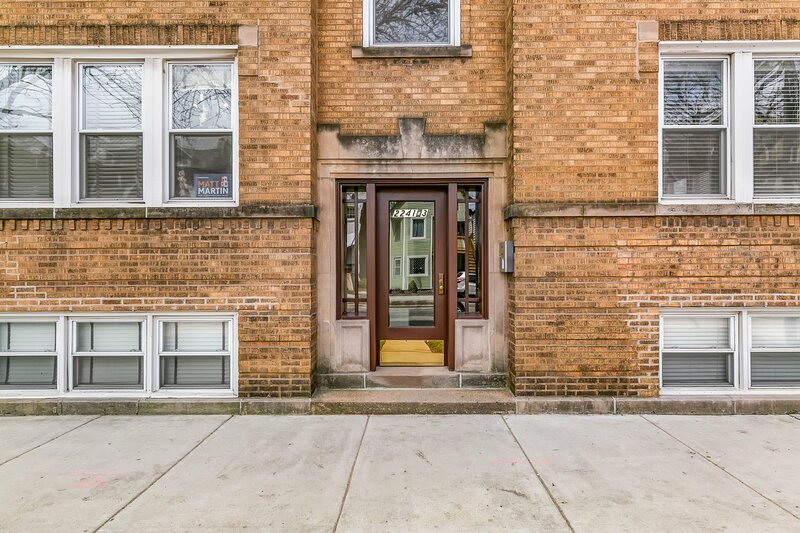 Close to the Ravenswood Metra station! 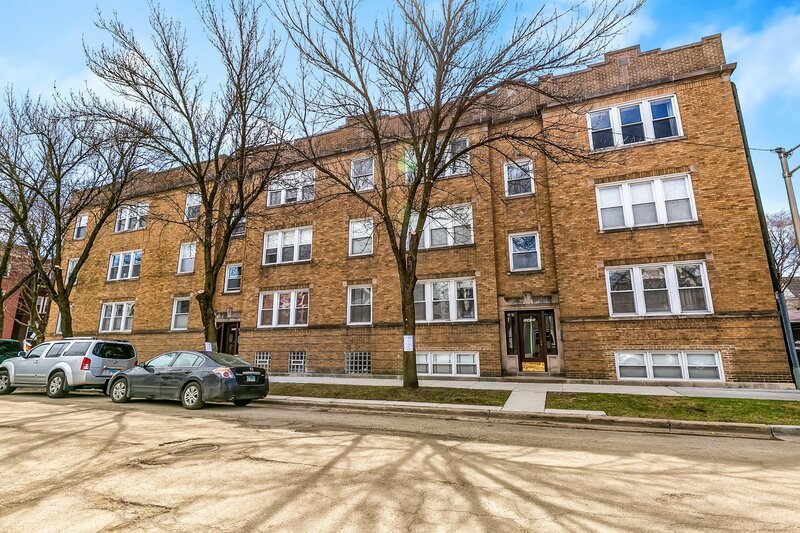 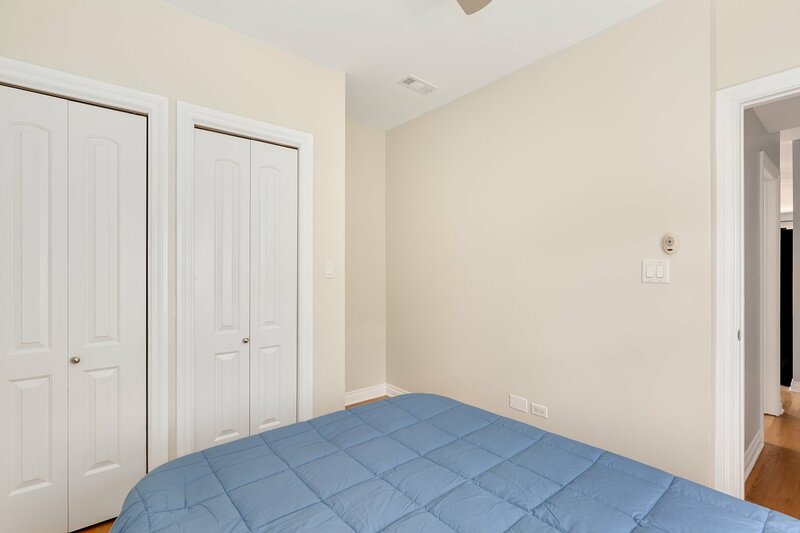 Also close to Winnemac Park, grocery stores, fantastic restaurants/bars, etc. 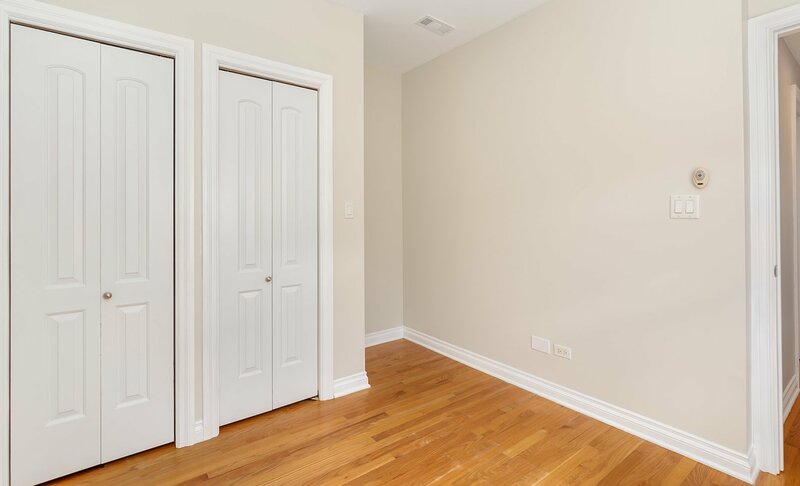 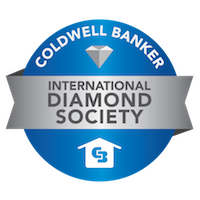 The association has very healthy reserves and low assessments!